Its official – the Oilholic is now a self-proclaimed part member of what some might describe as the evolving Hydrogen Society; that demure lot doing their bit to reach a low carbon Alamo premised on good old H2 as their alternative to fossil fuels. Of course, that’s alongside their – shall we say – more boisterous electric and hybrid mobility solutions counterparts. 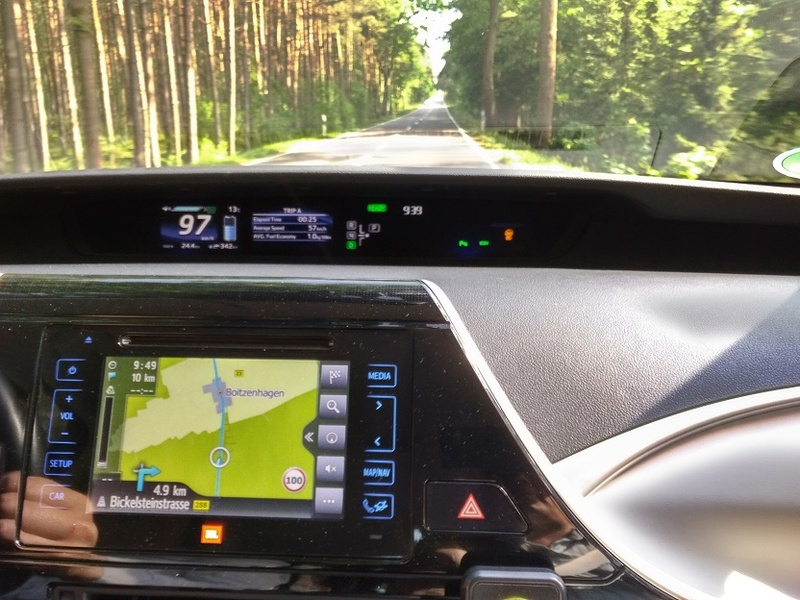 This new membership came courtesy of an 800 km-ride between 16-18 May from Salzgitter in Northern Germany to the Danish capital Copenhagen in a Toyota Mirai; the global automaker's sedan-sized bet on yet another alternative fuel solution, with hybrid and electric cars already on its portfolio. 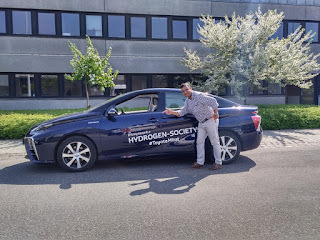 And along the journey this blogger saw planes, trains and automobile concepts all premised on a hydrogen-powered future, and got views on a zero-emission journey from fossil fuel retailers to politicians, engineers to scientists (see earlier posts). Of course, the Oilholic assumes all what you lot want to know is – how was the Mirai ride and what about the perils of big, bad hydrogen spontaneously exploding! Well, the ride was pretty smooth, and the latter point – with 2018 technology in play – comes across as a bit silly (to ‘crudely’ quote none other than a Shell executive). Of course, it was perfectly safe! But more on all that later. The entry point should be what is Toyota’s motivation? Agreed, others are in too. For instance Hyundai, Audi, Honda, Indian heavy vehicle manufacturers and British forklift truck-makers are all attempting to harness hydrogen for mobility, but via the Mirai, Toyota is the only mass producer of hydrogen fuel cell vehicles attempting to take things to the next level. The company's answer, which this blogger accepts in good faith, is that via the Mirai project – Toyota is putting forward both "a new point of discussion" on alternative fuels as well as "an additional mobility option" in its own march to a low carbon future. The company is quite candid that in its backing of hydrogen powered fuel cell vehicles, it is not making some utopian statement about the demise of the dominant internal combustion engine (at least not yet!). 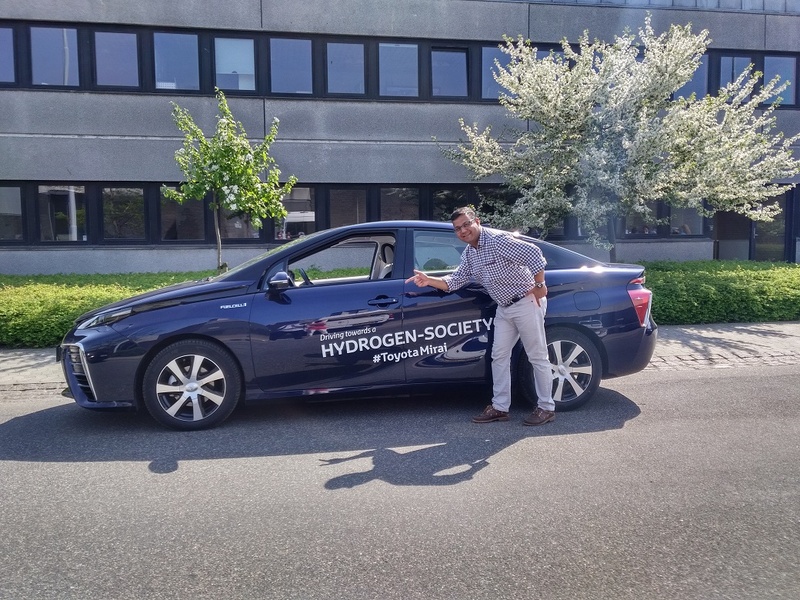 Rather, Toyota – the world’s second-largest automaker with its fingers in all modes of mobility fuels including some of the world's best selling petrol cars – says hydrogen fuel cell technology is not only an option, but a viable one. Moving on to the car itself – Mirai's chassis might somewhat resemble the latest Toyota Prius model – but riding in it is even quieter than a Prius. Yup, apparently that is possible! 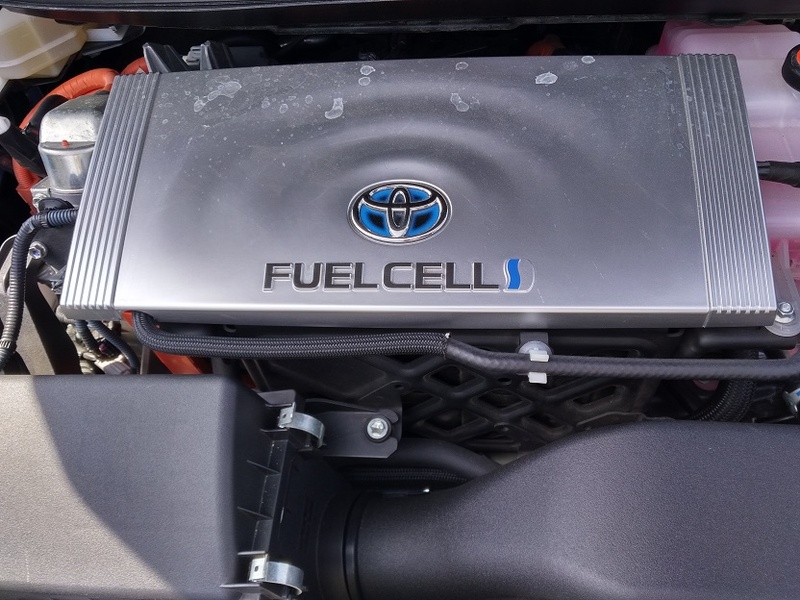 The front wheel drive vehicle uses Toyota's Fuel Cell System (TFCS), featuring both fuel cell and hybrid technology, and incorporates the global automaker’s proprietary fuel cell (FC) stack, FC boost converter and, of course, a 5kg capacity high-pressure (@ 70 MPa/10,000 psi) hydrogen tank. As for those worried about the tank’s safety – it has been rigorously tested since 2012, not just to your average crash tests but has even had bullets fired at it too without failure! The TCFS emits no CO2, but water, which can be released at the press of a button. A tank full of hydrogen can take you to around 500 kms before refuelling, according to Toyota, with only water as a by-product along the way. En route, the Mirai, by the Oilholic’s calculation, accelerated from 0 to 100 km/h in 10 seconds. The car does have a top speed of around 180 km/h, but yours truly and his companions did not attempt it. And over the course of 800 kms, not a single problem or glitch occurred, although a passive eye had to be kept on fuel levels, given hydrogen refuelling points are not around every corner just yet. While fuel retailers hope to change that, Toyota, for its part, hopes the Mirai will captivate drivers' imagination in the years ahead. Organisational take-up of the Mirai from police departments to taxi and car hire companies across Europe has been pretty positive since 2015, after the Mirai moved from pilot to initial road deployment stage. Around 5,500 have been sold globally, including 250+ in Europe. By 2020, Toyota is targeting global sales of 30,000 per year. What the future holds is anybody's guess, but it was an absolute pleasure to have ridden in the Mirai in order of get a first hand feel of the emerging Hydrogen Society. That's all from this trip folks, with this the last of the hydrogen posts. But keep reading, keep it ‘crude’ and a tad hydrogen-fuelled too! 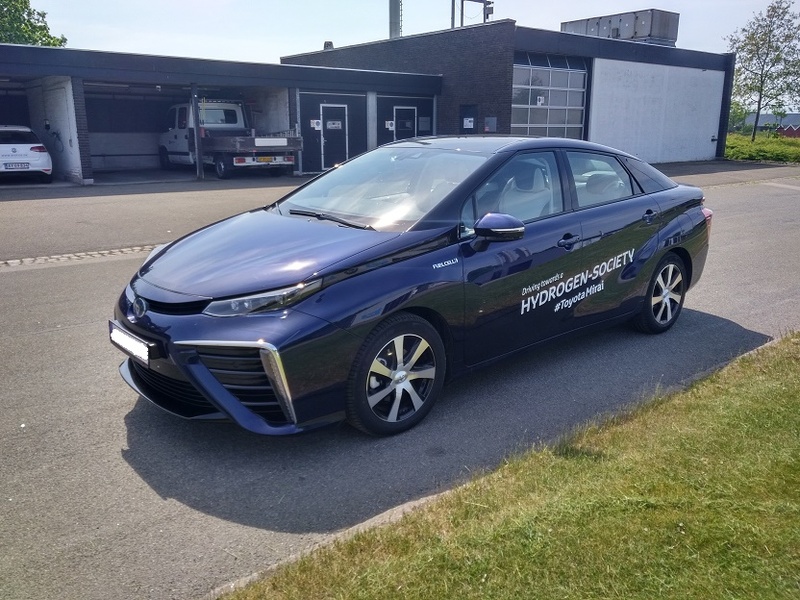 ADDENDUM: And here is the Oilholic's report on the Toyota Mirai and various permutations its success (or otherwise) holds in relation to the nascent hydrogen economy for Forbes. © Gaurav Sharma 2018. Photo 1: The Oilholic with the Toyota Mirai and photo of the car at a site in Denmark. Photo 2: Toyota Mirai console. 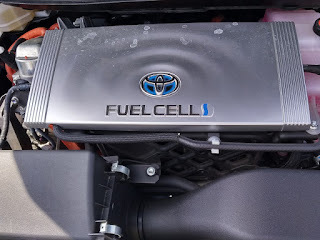 Photo 3: Toyota Fuel Cell © Gaurav Sharma, May 2018.